Favorite new CD in 07: Cannons by Phil Wickham. 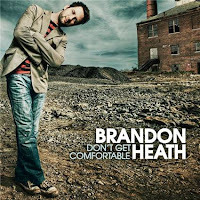 Favorite surprise CD I didn’t know I owned but found in my house in 07: Don’t Get Comfortable by Brandon Heath. Favorite month of 07: November. It was especially good this year. Favorite new friends of 07: Harry and Anne in Scotland. In the USA, Katie B’s manfriend. I like him. Favorite song [according to iTunes calculations] in 07: “Lead Me To The Cross” on All of the Above by Hillsong United. Though I’m not sure I agree, who am I to argue with iTunes mathematics? Favorite concert in 07: Dave Barnes and Matt Wertz in Chattanooga. But you knew that already. Favorite book (fiction) in 07: The Shuttle by Francis Burnett. Favorite podcast in 07: The Relevant Podcast. Hilarious to the 4th degree. Favorite neighborhood get together in 07: Tuesdays at Kathleen’s. Favorite non-neighborhood get together in 07: breakfast club. Favorite book (nonfiction) in 07: Revelations of a Single Woman by Connally Gilliam. I am NOT a big fan of this type of book, but this particular one is fantastic and if single girls like myself didn’t get offended so easily, I would buy a copy for every single single I know. The best one I’ve EVER read. And I’ve been single book reading for a while. Ahem… moving on…. Favorite purchase in 07: MacBook. Thank you, tax refund. Favorite baby born in 07: That is not fair and I can’t even believe you asked me that. Favorite photo taken in 07: this one. Favorite blog of someone I don’t know that I found in 07: Brody Harper. Better known to you as “Phil Wickham’s handler“. Gracious…. if I could take back one label this year, that would be it. My humorous nature bites me in the backside again. 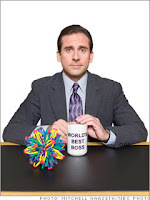 Favorite blog of someone I DO know that I found in 07: Again, not fair. Why are you doing this to me? I want to still have my friends at the end of this post, okay? Gah. Just look at all the links on the right and pick one. That’s my favorite. Now pick another one. Yep, that’s my favorite too. Favorite rejection letter in 07: The one I got from the publishing house that almost broke my heart. Favorite comedian of 07: My dad. You can see his 2nd place award winning stand-up act HERE. Favorite red dot of 07: You are my favorite red dot. Just look at the map on the right to prove it. Well, I think I’ve covered about all of it. Is there a favorite from 07 that I missed? Leave it in the comments and I will answer it to the best of my ability.